On the weekend trip that we recently took down to the Ozark National Scenic Riverways, we did our best to get out and see some of the scenery in the area. 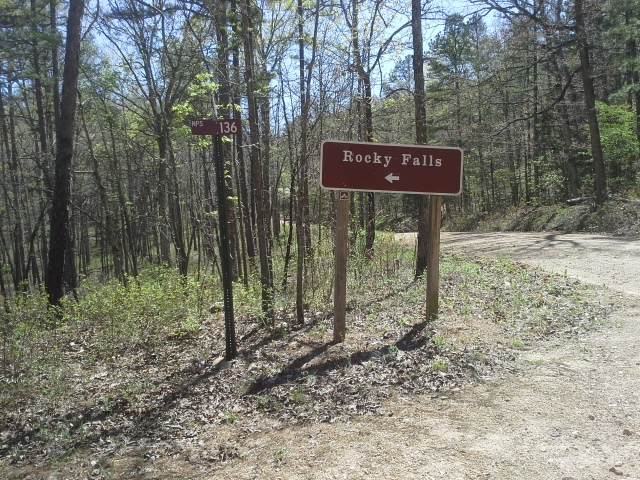 One of the places that we stopped by was Rocky Falls. 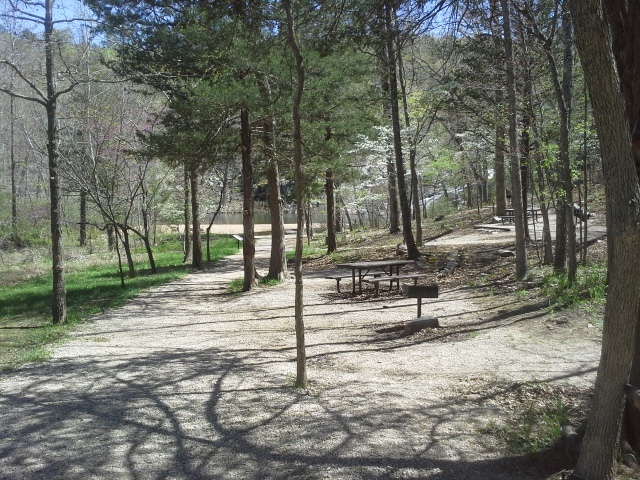 It is a scenic picnic area southeast of Eminence, MO, near the northern border of the Peck Ranch Conservation Area. The creek that flows though the area is coincidentally named Rocky Creek, and in this spot it cascades down ancient exposed rock and into a pool below. Now I am no geologist, but the rock it washes over is apparently called rhyolite. In most areas in Missouri (as far as my uneducated self knows), the creeks and streams make their way over and through sedimentary dolomite limestone, which is softer so it tends to erode over time, changing the course and depth of the waterways. Rhyolite is volcanic, as it was pushed as molten rock to the surface about 1.5 billion years ago, and is much harder so it stands up better to the forces of water. 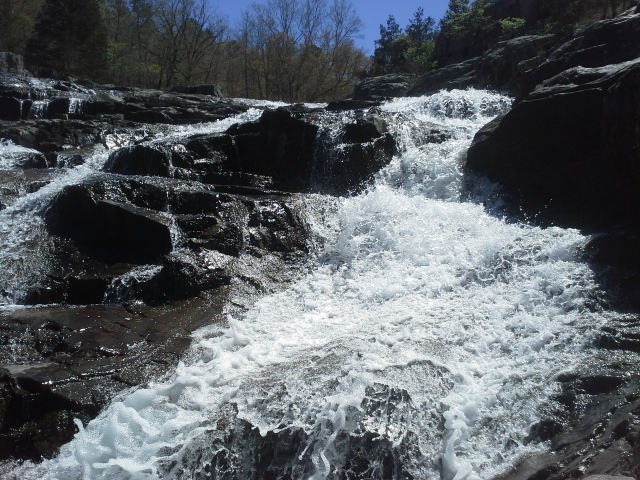 When the creek had washed away all the dirt and softer materials from the area over time, the harder rock remained and formed into the cascading beauty that is Rocky Falls. From the St. Louis area, we took Highway 21 south all the way down to Ellington, MO (around 120 miles), and then right (west) on 106 for about 20 miles or so to Route H. Turn left on Route H, and take it for about 5 miles to another left turn on Route NN. After just a couple miles on NN, you will come to a right turn that is the entrance to the area. There are some places that you just want to spend time in. Maybe you want some peaceful contemplation, a hike through the woods, a picnic with the family, or a good place to find a spot for a nap in the sun. Rocky Falls is one of those spots that would be perfect for all of the above. One thing that I like to say is that a trail or a campground needs a water feature. A part of it that has a creek flowing through, or a lake to take a walk around. Something recreational and full of life and that smooth way the water moves that is fun to watch. This is one of the more memorable ones that I have seen so far. The area facilities include bathrooms (I did not check to see if they had running water. Doh! ), picnic tables, and fire grills. As far as I know, camping is NOT allowed (It sure would be a neat place to spend the night next to). There is a walking trail apparently, but I think I was so focused on the falls that I totally missed it. I also could not find any details online about it. Maybe it is just in reference to the trail from the parking lot to the water’s edge? There are SO MANY things to see in the Ozark National Scenic Riverways, and this is definitely one of the cooler ones. Max (the explorer dog) and I climbed up the rocks for a bit and surveyed the area below. In a future trip to this part of Missouri, we are going to have to make it a point to visit again. It is just too pretty to pass up. If YOU haven’t seen it yet, put this one on your list. Nice pictures and blog. Looks like you had a nice day at Rocky Falls. It really is a beautiful area. Amazing how small the creek is above the falls and then it “explodes” into this impressive cascading waterfall and large pool below. In the summer months, people swim in the pool. I’ve only been there in the summer and I’ve been curious about following the creek downstream from the pool. Ultimately it runs into the Current River. Thank you! It is a really neat place. That sounds like it would be a fun adventure. After this, we went by Klepzig Mill, and I haven’t looked closely at a map yet, but is this the same creek that flows past there? 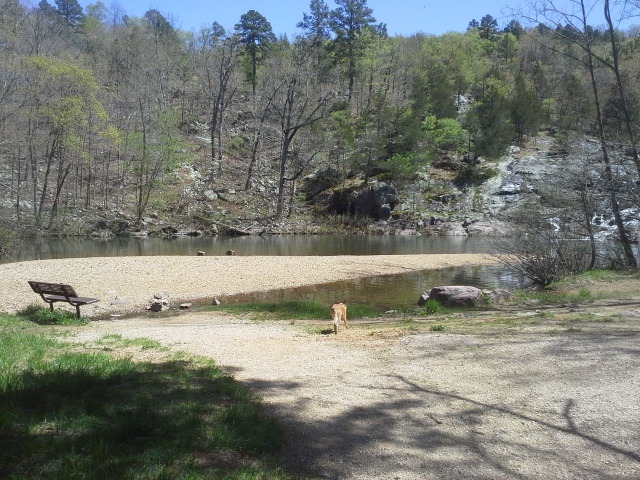 The Ozark National Scenic Riverways is one of the coolest places in Missouri. I’ve heard of Klepzig Mill, but haven’t been there. Not sure if it’s the same creek; may well be. I’ll be back down in the area this summer and will check it out. We do a lot of floating. We’ll be on the Jacks Fork, Current, North Fork, Courtois and Niangua this summer. 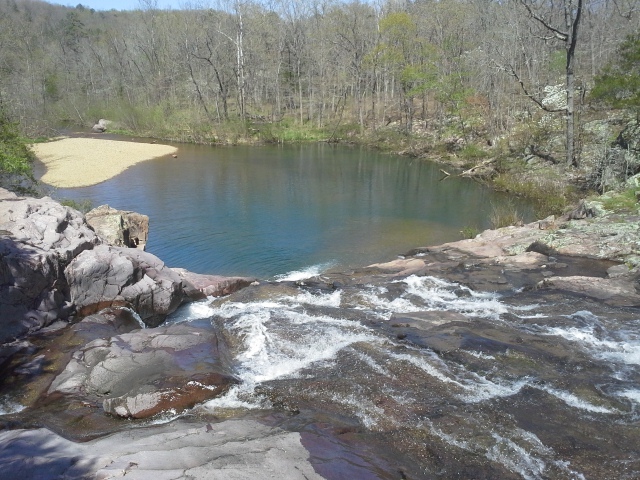 Also have trips planned to Sam Baker and Johnsons Shut-Ins. 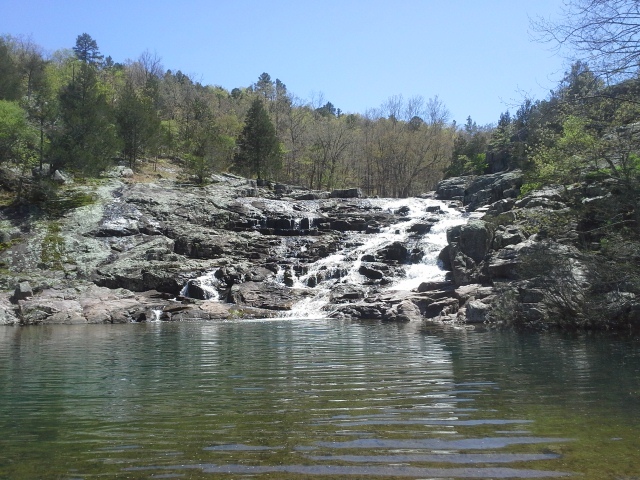 If you and the kids like swimming, try the swimming hole at Alley Spring. So many great places in S. Missouri! Sounds like you have an awesome summer planned! We are going to Johnsons Shut-Ins next month, and usually make a Sam A. Baker trip once a year. It will probably be a little while before I get back down the the ONSR, but I am certainly looking forward to it. The bathrooms do not have running water. This is a beautiful place. My husband and I were just there a couple weeks ago. Thank you, Carol! They looked a bit more modern than a typical pit outhouse, but I didn’t even think to check and see if there was a faucet or spigot. It really is a beautiful place. « Camping Etiquette: Being a Good Neighbor.